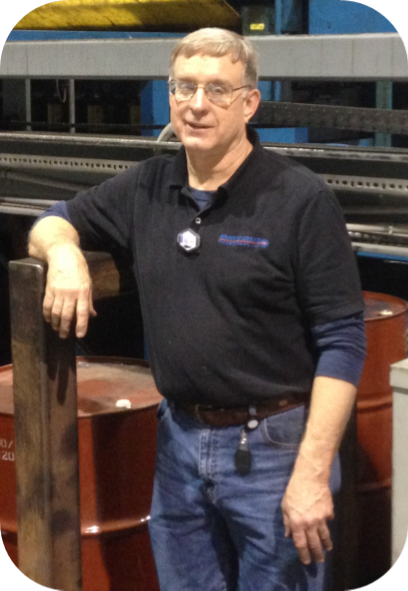 Many of you have already met our newest field service technician, Jim Russell, who joined A.G.T. in August 2013. For the past six months, Jim has been traveling with Craig Walkup and John Fearing servicing gauges and meeting all of our customers. A graduate of DeVry University with an Associates Degree in Electronic Engineering, Jim is hard working and a quick learner. He brings with him 15 years of field service experience and has spent the last eight years working in the steel industry with three of those as a slitter operator. Jim currently resides near Prospect, OH with Dolly, his wife of 33 years. When he isn’t working, his favorite pastimes include fishing, golfing, working on the house (a never ending commitment of love) and traveling to see his four children, Dan, Mindy, Tom and Allison. Jim is also the proud “Papa” of three beautiful grandchildren and is an avid fan of The Ohio State University Buckeyes, Cincinnati Reds and Bengals. Please say hi to Jim next time you see him at your facility. A.G.T. can upgrade, provide service and spare parts for many gauges that are now considered obsolete. This includes gauges that were manufactured by companies no longer in business such as Gamma, DMC, Weston and Loral. Contact us today for more information. Each year A.G.T. gives back to the community by donating to various charities. This year’s recipients of our donations include the Multiple Myeloma Research Foundation, the ASPCA, Operation Gratitude, The James Cancer Center and Make-A-Wish. You can read more about these deserving charities on our Charities page. 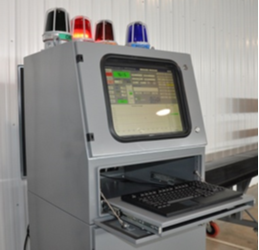 Our first production model AGT800 Laser Thickness Gauge was commissioned in January and is now in operation. 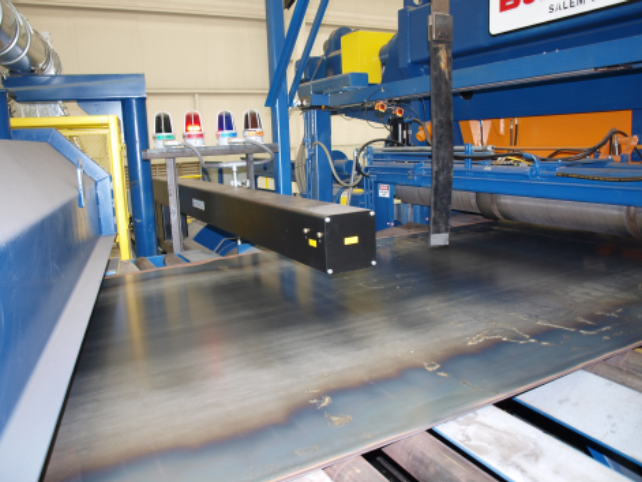 It was installed on a new 96” Butech Stretch Level / CTL line at Jemison Metals’ new plant in Trinity, AL. 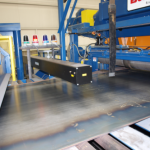 This revolutionary new gauge utilizes advanced laser triangulation technology and is capable of measuring almost any material in coil, sheet or strip form. There is no radioactive source and are no federal or state licensing requirements. Although the AGT800 is designed to measure primarily heavier gauge materials (.040” to .750”), there are optional sensors available to measure thinner gauge products as well. Since introducing the AGT800 last fall, we have received a large number of requests for information and quotes along with several new orders. There is obviously a high level of interest in this new technology which offers an affordable and dependable option to traditional isotope and expensive and/or unreliable x-ray gauges. Please contact us to learn more details and to request a quote or proposal. If your external tachometer is broken, you can still get reports by switching to INTERNAL tachometer mode. The footage may be incorrect but you will be able to get a deviation versus length graph.